Apple has just released iOS 9.3 beta 2 download for supported iPhone, iPad and iPod touch devices to those registered in Apple’s Developer program. 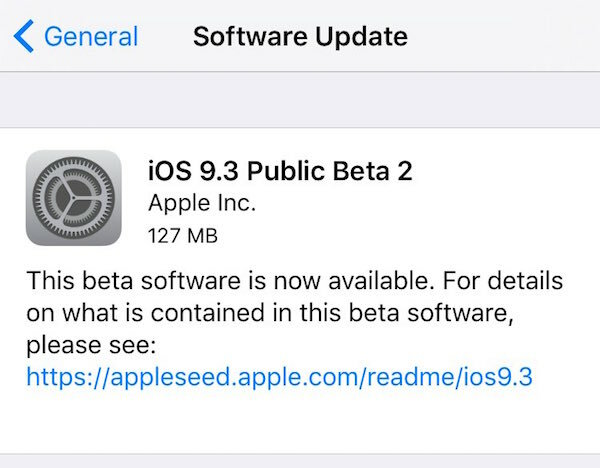 The second beta of iOS 9.3 comes almost two weeks after first beta was seeded to both developers and public beta testers. Unlike some of the other recent beta releases, iOS 9.3 is a major update for iOS 9 which brings a number of new features to iPhones and iPads. There’s a f.lux-like feature called Night Shift mode which reduces blue light automatically in the evenings to provide warmer colors for easy reading on the display. There’s also the ability to connect multiple Apple Watch units (running watchOS 2.2 and above) to iPhone, multi-user support of sorts for iPad which is specifically designed for using iPads in educational sector, among many other small and big features. 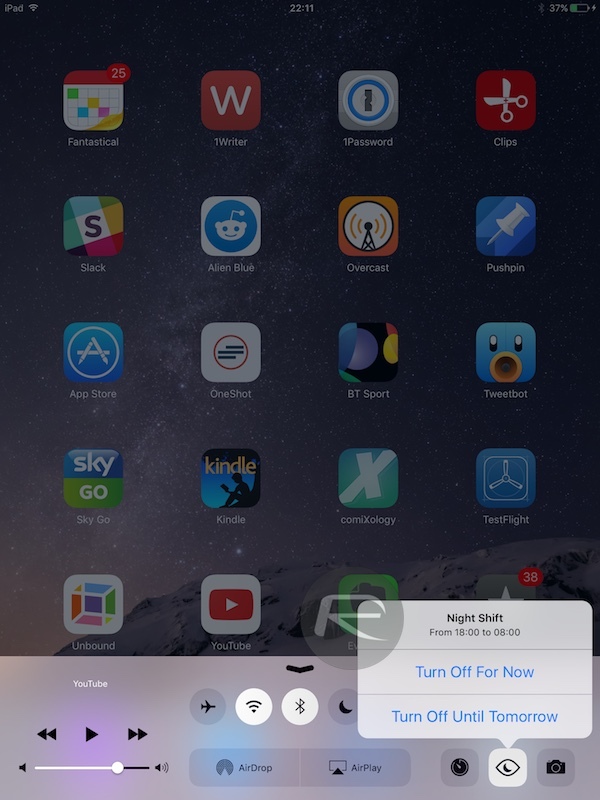 For a full rundown on everything that is new in iOS 9.3, check out our detailed post here: iOS 9.3 Features: Everything New In One Place. 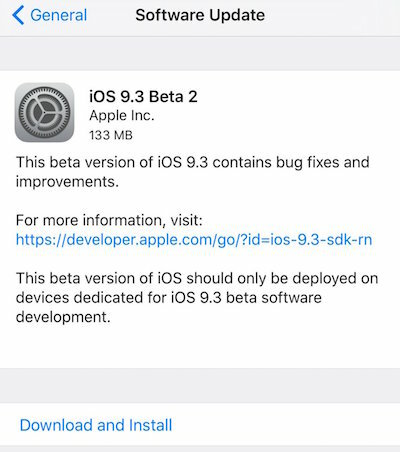 iOS 9.3 beta 2 update is available to download right now, both as a direct download from Apple Developer website which can be used with iTunes and as an OTA update (Settings > General > Software Update) for updating directly from the device. iOS 9.3 beta 2 is currently available to those in Apple’s Developer program but it is only a matter of time before it’s made available to those registered on the company’s Public Beta program. We will update this post as soon as we find what’s new in this beta 2 update. Stay tuned. 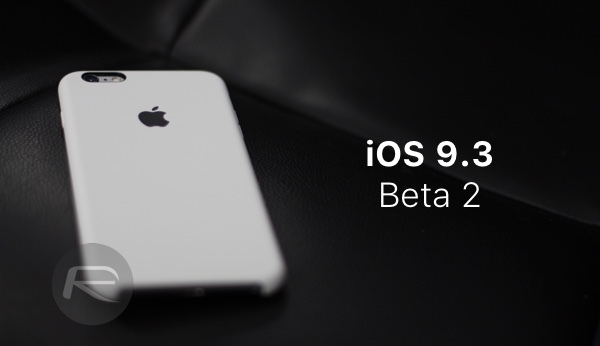 Update x2: Apple has now seeded iOS 9.3 beta 2 to public beta testers. I’m running 9.3b1 on a developer register device, but when I’m checking for updates from phones menu I don’t get the b2 update. Anyone else experiencing this? You have to install the profile from the Developer website to get the ota updates. Go there with your device and install it directly. Then just follow the instructions and check for update. This has nothing to do with it not being on public beta. I updated my iphone from 9.2.1 to 9.3b1 this way without my computer. Way simpler and faster than having to wait for it to download and then install. So i did this in less than an hour. Safari crashes on 9.3b2 if you try to acess the searchbar. Worakaround: works fine in private mode. Apple introduces many features which are really useful in this updated version. As an Apple user I am happy to see these features. But I think night mode won’t help me a lot. Because I don’t like the yellow color screen. It is better to use a screen protector like ocushield rather than using this feature. Certain apps are not able to connect to the network and get data via LTE. Works fine on wifi. Anyone else have this issue?